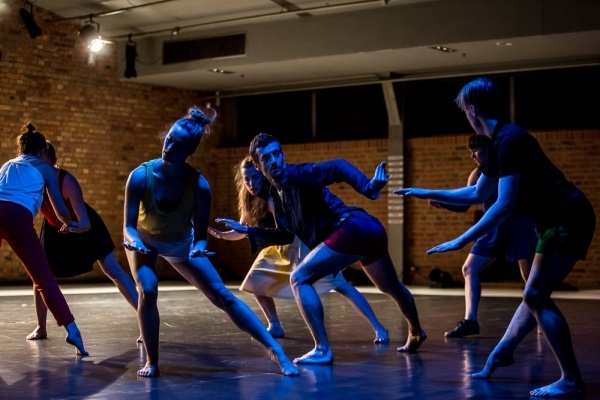 There Might Be Others, a play with an international cast, draws on the American tradition of ‘open scores’ – choreographed events in which dancers create a performance in real time, using pre-set rules and guidelines. The play will premiere in Canada on 4th June 2017 during the Scotia Festival of Music in Halifax. The inspiration for There Might Be Others came to Rebecca Lazier, a lecturer at Princeton University, while on a study visit to Poland in January 2014. The production is a dance interpretation of the Terry Riley piece In C, which was written in the 1960s. The ‘dance version’ of this aleatory work is comprised of a dozen or so short pieces of choreography. The cast includes Paweł Sakowicz, Ramona Nagabczyńska, Jan Lorys and Agnieszka Kryst from Poland and dancers from the USA, Canada, Turkey and Greece. There Might Be Others opened the 2015 Malta Festival in Poznań. It was also performed in Gdańsk, while its New York premiere in March 2016 was enriched by live music played by two bands – Mobius Percussion and Sō Percussion. The New York performance was awarded the Bessie Award for ‘outstanding composition’ and ‘sound direction’. The extended version of the play will be performed at the finale of the Scotia Festival of Music in Halifax on 4th June 2017. The performance was made possible thanks to the Art Stations Foundation, as part of the Adam Mickiewicz Institute’s America Programme.